The Department of Defense has announced its newest weapon test on the CBS show “60 Minutes.” The network gave stellar coverage to the autonomous drone swarm without bringing up ethical implications of more than 1,000 deaths from drone strikes since 2002. Dubbed Perdix (partridge), the tiny drones are launched from weapon mounts of F/A-18 Super Hornet fighter jets and behave like swarm insects, communicating with each other to decide how to execute the operators’ instructions. “The micro-drones demonstrated advanced swarm behaviors such as collective decision-making, adaptive formation flying, and self-healing,” the Pentagon said in the announcement. October’s test at China Lake featured over 100 Perdix drones, the biggest swarm to date. A 2015 test in Alaska featured 20 drones. 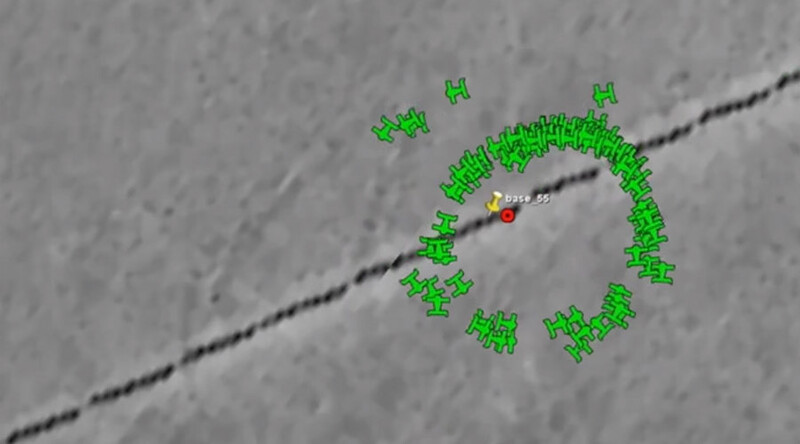 Video of the test released by the Pentagon shows the drones aligning and realigning themselves in various formations to follow instructions from their operator, whom “60 Minutes” identified as Marine Captain Jim Pineiro. During the “60 Minutes” segment, presenter David Martin describes the drone swarm as “military reality” and ponders the implications of machines being able to make decisions faster and maybe even better than humans. “I’ve heard people say that autonomy is the biggest thing in military technology since nuclear weapons. Really?” Martin asked SCO’s Roper towards the end of the segment. Outgoing Defense Secretary Ash Carter agreed, describing Perdix in Monday’s announcement as “the kind of cutting-edge innovation that will keep us a step ahead of our adversaries.” Current Pentagon guidelines mandate a human decision-maker in any weapons system control loop. Some observers were alarmed at the close collaboration between the Pentagon and one of the major networks. “This sure sounds more like a public relations partnership than an act of journalism,” Jim Naureckas, editor at Fairness and Accuracy in Reporting (FAIR), told AlterNet. AlterNet noted that the “60 Minutes” episode made no mention of more than 1,000 civilians killed by US drone strikes since 2002. That includes up to 966 civilians in Pakistan, up to 181 in Afghanistan, up to 101 in Yemen and 10 or so in Somalia, according to the watchdog Bureau of Investigative Journalism. So far, the Perdix drones have not been armed and their use has been mostly for reconnaissance and surveillance. According to “60 Minutes,” however, the military is now exploring arming the flying robots. Perdix was originally designed by MIT engineering students in 2011, and attracted the attention of the SCO after its establishment in 2012. Scientists have been working on modifying the technology for military use since 2013, with the October test confirming the reliability of the sixth-generation design to withstand deployment conditions. 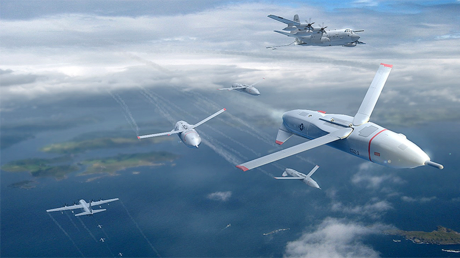 It will be at least three years before the “drone swarm” is ready for the battlefield.